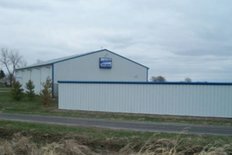 Storage Express is proud to provide quality, affordable, secure self-storage to the Charleston, IL community. We’re in a great location for area residents and college students who need a little extra space. 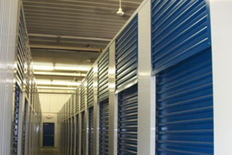 We offer 24-hour access to your secure storage unit in a clean environment. 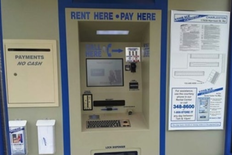 Our modern facility features an easy-to-use rental and payment center for your convenience. Call, visit or rent online with us 24-hours a day! 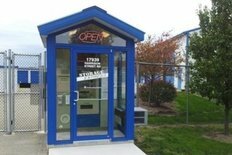 You’ll find us at 17939 Harrison Street Rd near Niemeyer Repair Services and Car Sales. 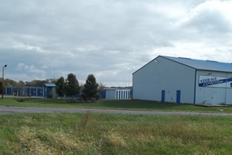 We’re easily accessible via Hwy 16, Hwy 17, and close to I-57, making us an easy-to-access storage solution for students of Eastern Illinois University and the neighboring communities of Humboldt, Charleston, Embarrass, Ashmore, Mattoon, Effingham, Paris, and Kansas, IL. Never rented a storage unit before and uncertain how all this works? We understand and we’ll walk you through it step-by-step — helping you determine the perfect size needed down to setting up your personalized gate code for 24-hour access to the property. 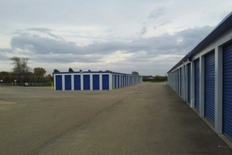 Time is money and that’s why we strive to make renting a storage unit a quick and easy item to tackle. We offer three convenient 24/7 options: rent online, visit our onsite Rental Center, or give us a call. We’re here when you need us. That’s how we roll. 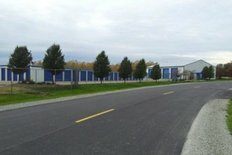 Storage Express is the Midwest’s premier self-storage company, with 100+ facilities. Since 1990, we’ve developed our business by centralizing the rentals of our spaces out of our contact center (not a 3rd party). 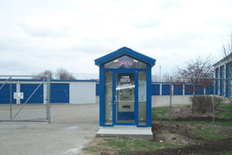 Customers rent from us 24/7 — online, by phone, or by visiting one of our onsite 24/7 Rental Centers. We’ve also centralized payment processing, collections, and general administrative support. 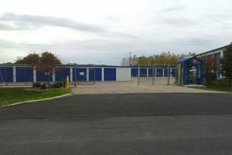 Our local Storage Express Field Service team services our facilities and keeps them in tip-top shape. Storage is our only gig. It’s what we do and we’re excited to continue helping you and others with all your storage needs! Thanks, Kim! We appreciate the shout-out and the 5 stars! Achsah Padovan, we strive for 100% satisfaction, and it is great to see you had such a positive experience at Storage Express. Very easy to locate. Space was very clean. Very little ease in getting set up. Tomary Walls, thank you for your kind words and this wonderful review! Michele Smock, we strive for 100% satisfaction, and it is great to see you had such a positive experience at Storage Express. Thanks for choosing us! Very happy with the convenience of the facility. The site is always clean, easy to access. Never an issue contacting someone if needed. Prices are very competitive for the area. We're so glad that we were able to go above and beyond your expectations, Debbie! So far, we've had a great experience with Storage Express. Deb has been very helpful on the phone. Wonderful! Thanks for the opportunity to help you with your storage needs, Amy. Our experience has been great! Online payment and easy access to storage facility has made moving from a house to smaller townhouse much easier to handle. The storage space was easy to find and is serving it's purpose well. I forgot to write down who I spoke with on the phone but she was so kind and explained exactly what we needed to do once we got to storage site. Thanks for making a difficult time easier for us!